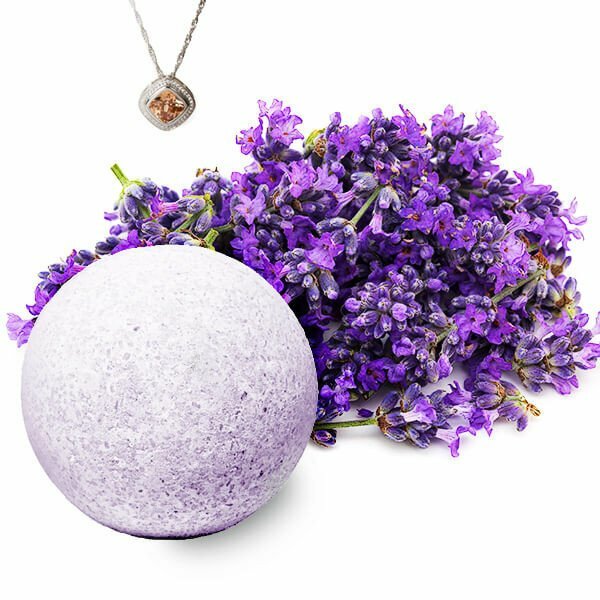 BathBombs.com is the new sister company to JewelryCandles.com and brings the joy and excitement of finding a hidden treasure into your bath tub! There are eight different scents available, from a sweet Apple Strudel to a tropical Tiki Party. All BathBombs.com products are handmade in the USA with all natural, cruelty free ingredients that are ethically sourced and free of synthetic dyes, parabens and SLS. The bath bombs are also 100% vegan and never tested on animals! Simply fill your tub with warm water, unwrap your bath bomb and drop it in for a wonderfully relaxing bath experience. Once the bath bomb is finished fizzing, you’ll discover a beautiful surprise! BathBombs.com offers both Jewelry Bath Bombs and Cash Bath Bombs, all guaranteed to have a surprise hidden inside! A great feature of the Jewelry Bath Bombs is the ability to select the type of jewelry you’d like inside, including a specific ring size! The jewelry options are a bracelet, earrings, necklace/pendant, or ring (sizes 5-11). The Cash Bath Bombs are all guaranteed to have a mystery cash prize inside! Every single Cash Bath Bomb includes a genuine $2 bill inside. The cash prize amounts range from $2 – $2500! The highest amount of actual cash you could receive inside the bath bomb is a $100 bill. If you win over $100, you will receive a genuine $2 bill plus a code that you redeem for your GRAND prize! 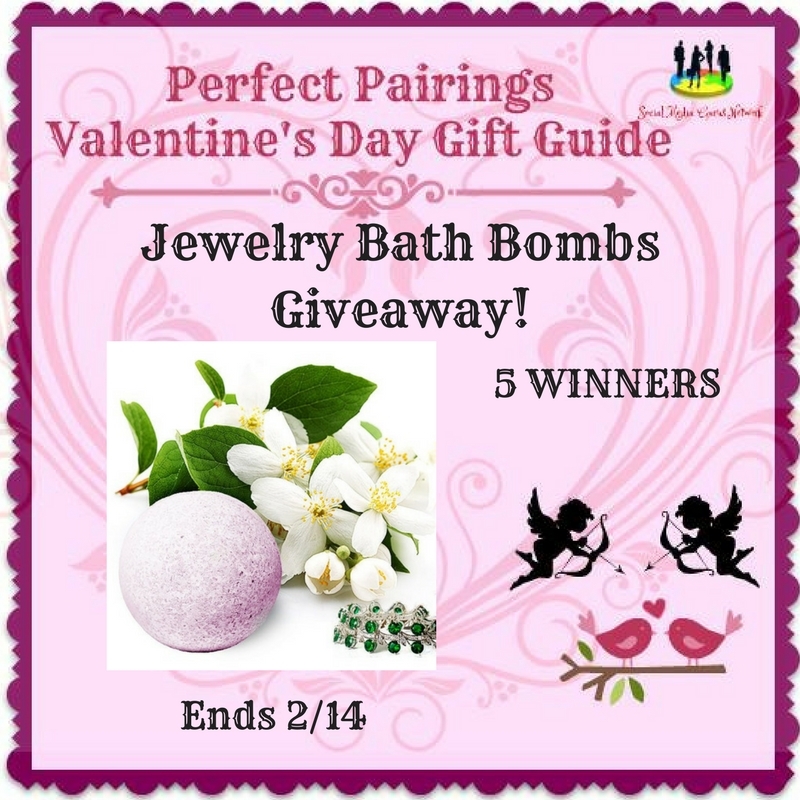 BathBombs.com will give (1) Jewelry Bath Bomb in scent/jewelry selection of choice to 5 lucky winners!! This giveaway is in no way endorsed, affiliated, or associated with Facebook, Twitter or any other Social Media Networking Site. This Giveaway is valid in the United States and Entrants must be 18+ years of age to enter. This giveaway event will end at 11:59 PM (EST) 2/10/17. The winners will have 48 hours to email their information back to thehomespunchics at gmail dot com or a new winner will be drawn, you may want to put this email address as safe as it could go to spam. The sponsors are each responsible for shipping of the above prizes. No blog associated with this contests are responsible for prize fulfillment. If you would like to be a sponsor in a giveaway like this please email Joanne Gregory at thehomespunchics@gmail.com. If you take an entry you must stay following for the entire contest or you will be disqualified.